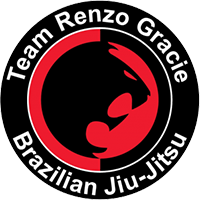 Kevin began training Brazilian Jiu Jitsu in 2008 at the Indiana University BJJ Club. After receiving his blue belt from Tim Sledd and Andre Galvão in 2011, Kevin became an assistant instructor for IU’s accredited Brazilian Jiu Jitsu program. Shortly after graduating and receiving his purple belt, Kevin moved to Indianapolis to train with Atos affiliate Evan Mannweiler, American Top Team affiliate Carlos Diaz, and Carlson Gracie Jr. affiliate Alan Stockman. Kevin received his brown belt from Evan Mannweiler in 2014 and began teaching gi and no-gi classes at American Top Team Indianapolis until moving to California in November 2016. Kevin has taught Brazilian Jiu Jitsu at Samurai Brazilian Jiu Jitsu since 2015 and is also an instructor at the Stanford University Brazilian Jiu Jitsu Club and at the UFC Gym in Sunnyvale, CA. Kevin received his Black Belt in August 2017 from Alan “Gumby” Marques, a third degree black belt under the legendary Ralph Gracie. Through Jiu Jitsu and submission grappling, Kevin’s goal is to provide people with a Way (道) that can effect positive change within their own lives and the lives of those around them. Kevin teaches morning classes from 6am to 8am on Monday, Wednesday and Friday mornings and No-Gi classes on Tuesday and Thursday nights.